Anyone who uses Wi-Fi knows the frustration of experiencing slow speed and dead spots. When everyone in the home is fighting for space on the bandwidth, things become quite stressful. Today we have so many gadgets fighting for space on the Wi-Fi: internet, appliances, gaming systems, multiple laptops, tablets, smartphones, thermostats, cameras and doorbells; just to name a few. Basically, the more gadgets hooked up to Wi-Fi, the slower the speed will be. There are ways to avoid some “dead spots” in your home. From Wireless Access Points to Pods, it seems nearly everyone has a solution. Let’s compare and see the best way for you to control weak spots and manage your home Wi-Fi. We sat down with Brian Moseley, our Director of Technology, to discuss and Managed Wi-Fi Networks. Q: We have been hearing a lot about Pods and how they can help strengthen Wi-Fi. Can you explain what Pods are and what they are supposed to do? 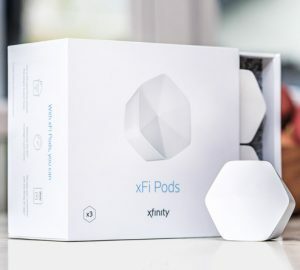 A: Pods are devices that can be paired with your ISP provided router, providing more consistent Wi-Fi coverage where you may experience weak or “dead spots” throughout your home. 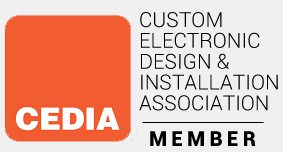 Q: Can I purchase a range extender from any manufacturer? A: Yes, you can purchase a range extender from your internet provider, a box store or speciality electronics store. Q: Does the extender have to be the same brand as my router? A: No. However, this may cause more problems than it solves since differences in technology can create a bandwidth bottleneck. Q: Do Pods send the same signal from the router or a different one? Also, will you be dropped and added to different pods as you move throughout the house? A: Simply put, Pods are Wi-Fi range extenders that communicate directly with your router and re-broadcast the signal, often as its own, separate Wi-Fi network. This usually means you end up with two networks. For example, “TaylorHouse” for upstairs and “TaylorHouse_EXT” for downstairs. Unfortunately, you will have slow Wi-Fi at multiple points in your house unless you manually switch back and forth between the networks as you move around (which becomes a huge hassle). The repeating of the entire Wi-Fi signal is very inefficient since the extender listens to every pod and rebroadcasts the signal without any internal logic that sends packets to the correct path. Q: Will the Pods exceed the maximum provisioned speed of my Internet tier of service? A: Pods help extend the range of Wi-Fi coverage in your home for hard-to-reach areas with poor Wi-Fi signals. 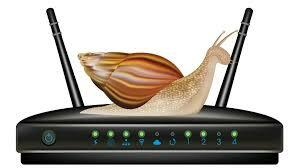 However, Pods are not intended to provide the maximum speed of your internet throughout your home. There are other WAP’s (wireless access points) on the market that would more effectively achieve this result. Q: Can my Pods be used outside on my deck or in my yard? A: No. Pods are for indoor use only and should never be placed outside your home. However, we do carry a line of weather-proof Wi-Fi extenders that are made specifically for this purpose if you are interested in expanding your Wi-Fi outside the walls of your home. Q: What is the cost of Pods? A: A set of three Pods usually run around $120* and a set of six Pods about $200* (*plus taxes and S&H, approximate prices as of March 2019). Q: How many Pods would I need for ample coverage in my home? A: A set of three Pods is usually recommended for homes with 3-4 bedrooms and multiple stories. A set of six Pods will cover larger homes with more than five bedrooms and has multiple stories. Q: Since Pods sound like they are not 100% reliable, is there a better solution for fixing weak spots in your home? A: We suggest a Managed Network Solution to our customers since they are more seamless and efficient. Unlike an extender, which adds to the existing home Wi-Fi network, our systems are typically a complete replacement for your home Wi-Fi. They are designed to create a large blanket of Wi-Fi coverage for your home. 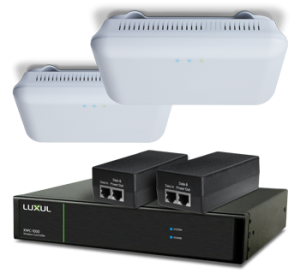 They can also be used with your current router, which gives these networks some advantages over traditional extenders and Pods. Q: Does the Managed Network create a separate network from my router? A: This type of network replaces the wireless signal from your ISP’s Router, so wherever you roam in your house, you will always be connected to the nearest access point automatically making the handoff more seamless. By comparing the Pods with a wireless Managed Network, you will be able to determine which option is best for your home or office. Moseley Electronics has been able to help homeowners and businesses increase their Wi-Fi coverage and boost their performance. If you are concerned about your lack of coverage, call us at (804) 379-1348 or contact us online and we can help!